Last week we discovered that there was disunity in the Corinthian church and it even reached into the area of how they were serving each other and the the gifts God had given them to use to love and build one another up. Isn’t that the way it always works. The very thing that God desires to use for our benefit the enemy come sweeping in and sows a little bit of pride, distrust or complaining and then our flesh takes over and turns God’s gift into a point of division in His Body. 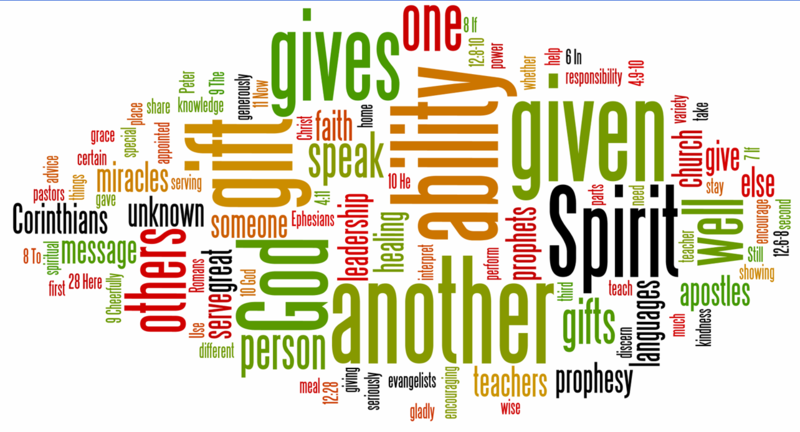 As we looked at spiritual gifts as they are talked about in 1 Corinthians, there are several words given to represent the purpose, source and use of the gifts. First we see that they are essential to the working properly of the church that is why Paul says he wanted the Corinthians to be informed. Next we saw the Source of the gifts are from God through the Holy Spirit. We saw that the gifts are a grace, or even deserve. We talk about the misunderstanding that many fall into that just because someone may be using their gift in a very powerful way it is not an indication that they are spiritually mature. That is why it is a grace. We also saw that all gifts are given for service to the body. They are all intended to be used to serve and build up. They are not about us! They are about the one we are serving. It is one of the ways we show the love of God to others by using our gifts to benefit each other. We also saw that the gifts are divinely powered. It is not in our strength that we use our gifts. 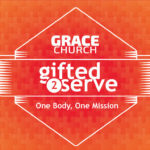 In fact when we begin to try and operate our gifts in our own strength they cease to be a “spiritual gift”. Lastly we saw that the word manifestation is used that points us to the the fact that this all points to God. He is the one who gets the credit. It is a visible display of who God is and what He wants to do on this earth. This is important as we begin to talk specifically about what these gifts look like in the next few verses. The reason for this is the fact that many of the things listed here are sensational. They are shocking. They are powerful and ultimately they are supernatural. Many times we are uncomfortable with the supernatural. We are fascinated by it, we are attracted to it, but we are also skeptical of it and don’t trust it. Part of this is because we are raised to dismiss and distrust anything that we cannot quantify, understand or control. The modern world would say that this is good. Those who are scientific in nature would say that nothing happens without and reasonable explanation. So thy would deny anything that they cannot understand as superstition or fable. But consistently God points to things that are beyond our understanding. This should bring us comfort as believers if we could explain God or understand everything about Him we would be on an equal level with Him. While some think that way, it makes God very small, and ultimately it makes God’s responds to sin look totally different. For example if someone wrongs us, and we are God we would very naturally judge them immediately. But God does not do that. 2 Pet 3:9 says The Lord is not slow in keeping his promise, as some understand slowness. Instead he is patient with you, not wanting anyone to perish, but everyone to come to repentance. Now before we go to far I want you to know where I stand on these things. I was raised to believe that these have ceased. There were several arguments used to prove this. As I have studied this topic a lot, I struggle with many of the arguments and the conclusions made by these arguments. That being said I do not necessarily think that the way most of these things are defined and practiced in the church world today are biblical. My desire is for us to look at these things and to see how God might work in our context and life today. I do not desire to place God into a box of saying “God can not or does not work the miraculous through His people anymore”. In fact I think scripture points to the fact that these are still relevant and Act 2:17-21 Peter quotes Joel and says in the “Last Days”, God will work in this way. So the question we must ask is, are we in the “last days”? The answer is most definitely, Yes. Wisdom is a divine gifting in the moment to speak to the life of an individual or to a specific situation with great understanding and a righteous perspective, with the goal of guiding others toward a life of holiness and worship. The Holy Spirit gives some the spiritual gift of wisdom to not only impart the truth and understanding to believers, but to invoke a response of holiness and worship lived out in the world and among God’s people. When someone is exercising this gift they call people to repentance and there is an overwhelming response to the Holy Spirit. It is based on the word of God the source of wisdom. It will never contradict or scripture it will always point to it and encourage us to live in it. Knowledge is a divine gifting in the moment to know things about a person or situation that are not clearly seen from a human perspective. The Holy Spirit gives this spiritual gift to some believers to bring about understanding and to inform the church or individual believers. This is closely tied to wisdom but it is distinct in the fact that Wisdom is about application of truth while knowledge focuses on the Gospel declaring the truth of God irrespective of the results or consequences. On a side note: I have experienced this a few times in my life. Where I clearly heard God tell me to say something to someone and even when they argued with me. My resolve was not to fight them and argue my side but to just tell them. That is what God has said. There was no animosity or desire to prove a point. There was no condemnation or correction desired it was a plain matter of fact of the truth that God was revealing. Faith is a divine gifting in the moment to stand in the gap and believe something for someone or something that looks hopeless and impossible. The Holy Spirit distributes this gift to some in the church to encourage and build up the church in her confidence in God. Those with the gift of faith trust that God is sovereign and He is good. They take Him at His Word and put the full weight of their lives in His hands. They expect God to move and are not surprised when He answers a prayer or performs a miracle. Faith is often accompanied with knowledge in the sense that there is a trust in the truth that God has revealed. Gifts of Healings is closely related to the gifts of faith and miracles. All spiritual gifts are to be exercised in faith, but gifts of healings involve a special measure of it. The double plural most likely means that these gifts were diverse and were not permanently available at the will of the gifted believer, but instead were bestowed at various times and circumstances. This gift is interesting in that there is no guarantee that a person will always be able to heal anyone he or she desires. It is subject to the sovereign will of God, as all spiritual gifts are. They have great faith and trust that God can and will heal some and are not deterred when He chooses not to. They are motivated knowing that God’s revealed power will draw people to faith in Jesus. Their ultimate concern is the spiritual well-being of those being healed and their relationship with Jesus. Literally translates “workings of powers.” This is again one of those double plurals. Thus, the gifts are subject to the divine will of God and His purposes and are not decided by the one who performs the miraculous works. Those with the spiritual gift of miracles often have a heightened sensitivity to the presence and power of God through His Holy Spirit. They have a special measure of faith and desire for God to reveal Himself and draw many to faith in His Son Jesus Christ. They take care not to draw attention to themselves or have a following of people, but are constantly pointing others to Jesus. Those with this gift understand that God is Sovereign and He can work when and how He desires, but they make sure they are available and listening to the prompting of the Holy Spirit. This gift is often accompanied by prayer and strong petition by these individuals for God to reveal His glory to people. They do not claim power themselves, but always give credit and glory to God for His mighty works. Often God will deliberately humble them to keep them relying on His grace and pointing to His Son, rather than miracles. Prophecy is the ability to receive a divinely inspired message and deliver it to others in the church. (This is most often associated with preaching) These messages can take the form of exhortation, correction, disclosure of secret sins, comfort, inspiration, or other revelations given to equip and edify the body of Christ (1 Corinthians 14:3-4, 24-25). They do not constitute the authoritative Word of God, but are the human interpretation of the revelation that was received. They are spoken in human words through a human mind which is why they must be tested against the Scriptures (1 Corinthians 14:29-33; 1 Thessalonians 5:20-21; 1 John 4:1-3). Those with this gift are sensitive to both the prompting of the Holy Spirit and the needs of the church body. They should be humble and continually study the Scriptures in order to test these revelations before speaking them. When they do speak, they should allow and even expect others to weigh what is said against the Scriptures and interpret the message accordingly. In this way the church may be continually built up together in unity. Discernment of Spirits is the ability to distinguish, discern, judge or appraise a person, statement, situation, or environment. In the New Testament it describes the ability to distinguish between spirits as in 1 Corinthians 12:10, and to discern good and evil as in Hebrews 5:14. The Holy Spirit gives the gift of discernment to enable certain Christians to clearly recognize and distinguish between the influence of God, Satan, the world, and the flesh in a given situation. The church needs those with this gift to warn believers in times of danger or keep them from being led astray by false teaching. Speaking in Tongues is the utterance of prayer or of a message glorifying God, typically spoken to God (1 Corinthians 14:2), in a language that is unknown to the one speaking it. The gift however is only partial, in that it is not given to all believers, and in the context of the church requires an interpreter in order for it to be edifying. • Not every believer receives this gift. The gift of tongues is not a requirement or a necessary sign of salvation. (1 Corinthians 12:30). • Tongues can be human languages such as those heard in Acts 2, but can also be a language no one understands (except for the power of the Holy Spirit through an interpreter). (1 Corinthians 14:2). • No tongues should be spoken in the church gathering without interpretation. (1 Corinthians 14:27-28). Interpretation of Tongues is the supernatural ability to interpret, explain, or expound some message that is not able to be understood in a natural way. Thus, this spiritual gift is the supernatural ability to understand and explain messages uttered in an unknown language. This is a revelatory gift, meaning that God “reveals” the meaning of the words or message being spoken and allows the interpreter to communicate its meaning to those who need to hear it. When this happens in the church two things happen: the church is edified and God is glorified. The spiritual gift of interpretation is given by the Holy Spirit to certain individuals to reveal messages spoken in an unknown tongue to God for the building up of the church. Like the gift of prophecy, tongues that are interpreted have the effect of encouraging and blessing the church to love and serve God more deeply and effectively. As we take communion today, I want to ask you, is there anyone that you have devalued? Is there anyone you have thought less of in this church? Is there anyone that you need to forgive or ask for forgiveness from? Paul in the previous chapter addresses the fact that they were taking communion and not loving each other properly. And he warns them that they should examine themselves that they are treating and loving each other well. How are we doing in this church? Do you need to confess something? Do you need to make something right? Let’s come to the table with a clear conscience and a pure heart of love. I know this may be hard but it is right. Ask God to forgive you and then make it right with each other.